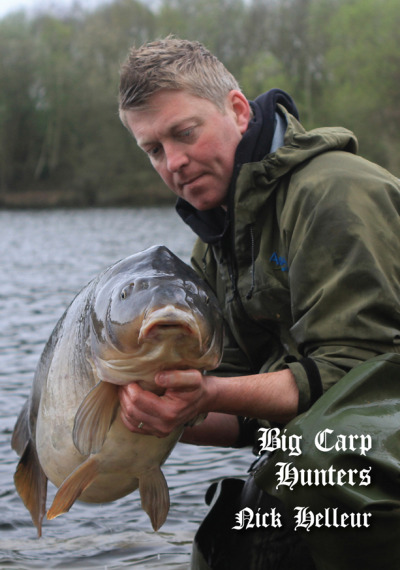 Derrick Rance's name will not be familiar to most of you but throughout the eighties and nineties he caught more big carp than almost any carp angler in the UK. His accolades include a trio of upper forties from Vinnetrow, a huge list of Yateley fish including big ones from the Copse, Match, Pad, Car Park and North lakes topped my Heather 3 times, the Dustbin 4 times, Bazil etc etc the list is impressive by any standards but it was on the Sussex lakes that Derrick came into his own breaking record after record. Wraysbury was dismissed in record time, nobody has ever had so many fish in such a short time, infact 4 sessions was all it took to catch a handful of its residents including the top 2 Mary and Mary's mate. Hortons biggest were also dispatched with ease, the Parrot being his first bite on the lake followed by more of the A team. Mill Lane was next and it was soon game set and match with the biggest and the best falling to his methods, What I haven't told you so far is that my good friend Derrick was deaf and dumb from birth! and that he died at a young age unexpectantly in 2013 not long writing this book. Here is your opportunity to share in Derrick's short but eventful life. 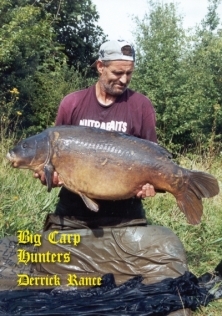 Derrick loved carp fishing more than life itself....a true Big Carp Hunter.